I am excited to share with you my thoughts on a range of products I have never used before. I have always known the L’Oreal brand for their makeup, nail polish and at home permanent hair colour. 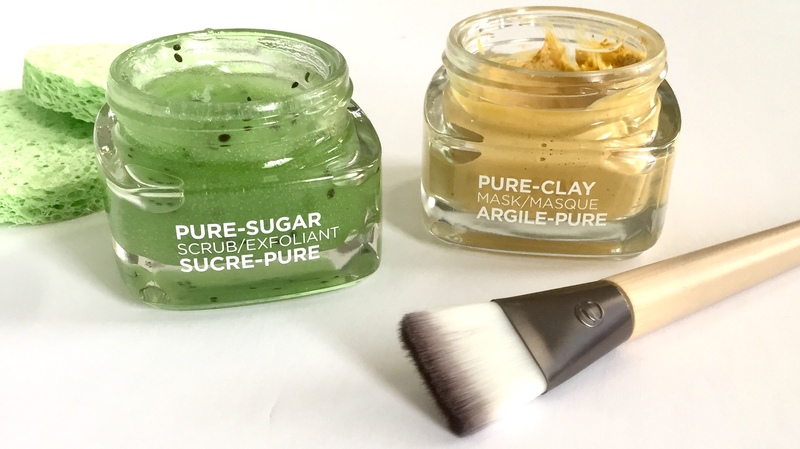 I was however eager to try out their skincare range including the L’Oreal Pure Sugar Scrub & Pure Clay Mask. Which continues to grow to accommodate various skin types and concerns. 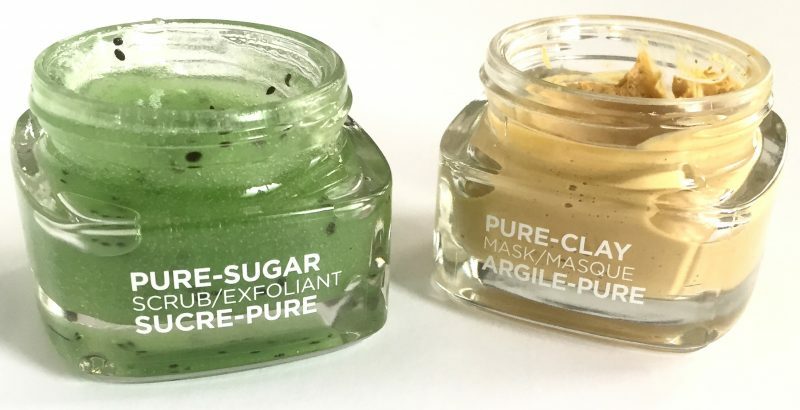 If you’re in the market for a unique scrub, mask or both, keep reading to hear about my experience. Beginning with the Purify & Unclog Face Scrub. Currently available in 3 variations, each with sugars, varying in coarseness. 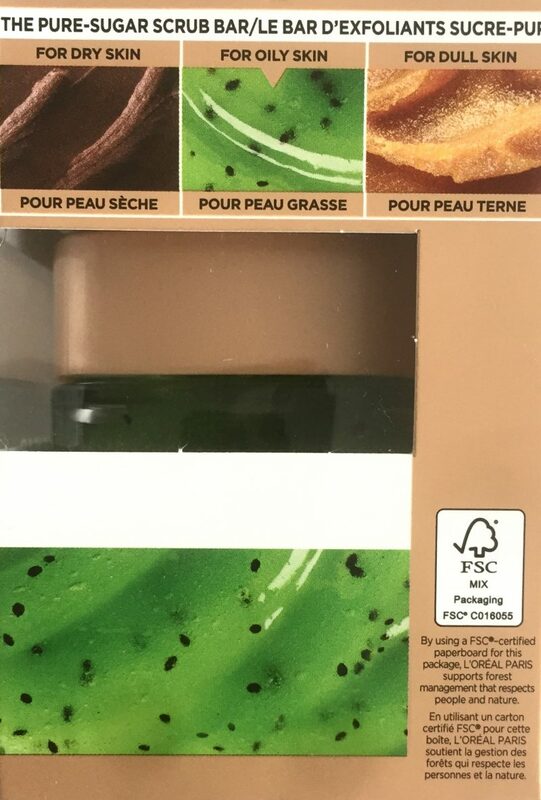 It’s made with peppermint, lemongrass and real kiwi seeds which is probably why it smells absolutely delicious! It has a gel consistency combined with small granules and kiwi seeds. 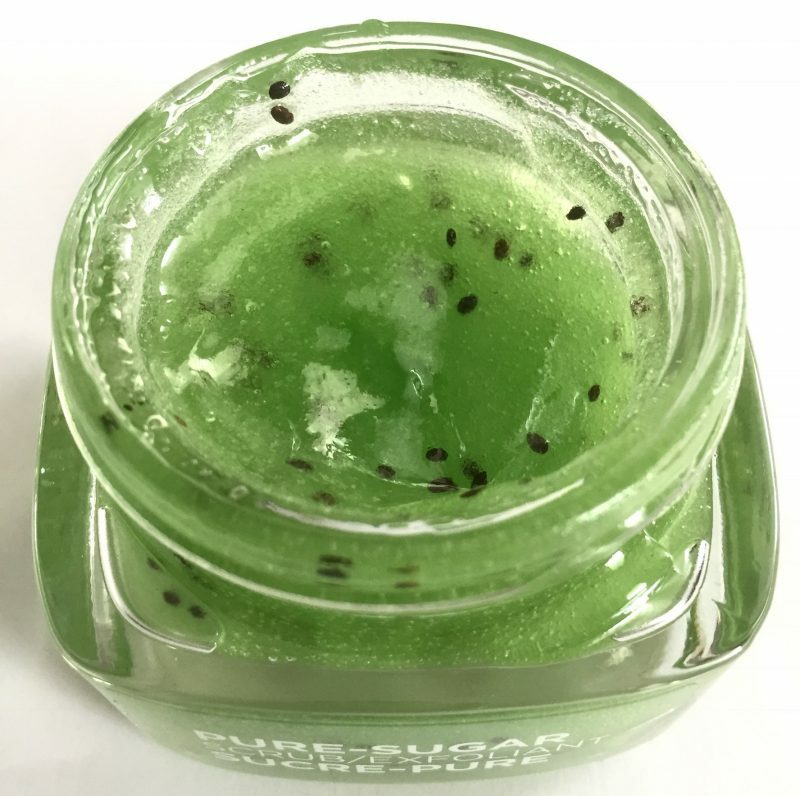 The Kiwi scrub quickly melts upon contact with the skin. Producing a fair amount of heat on the face, which to be honest I would have preferred if it kept cool. It’s strong enough for a deep clean but gently enough to nourish along the way. An absolute must have for people with dry skin like myself. 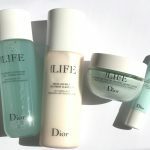 To ensure dry skin is gently yet thoroughly removed. Not to forget that it makes for an AMAZING lip scrub! 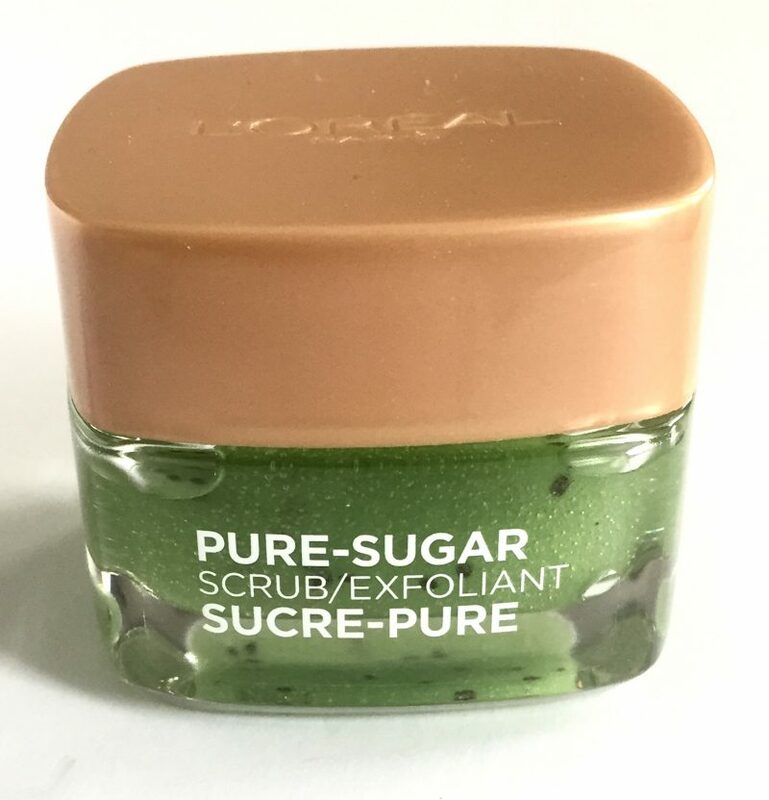 The L’Oreal Pure Sugar Scrubs retails for $13.97 CDN each. The second step to my now freshly scrubbed face is applying the L’Oreal Pure Clay Mask in the Clarify & Smooth type. 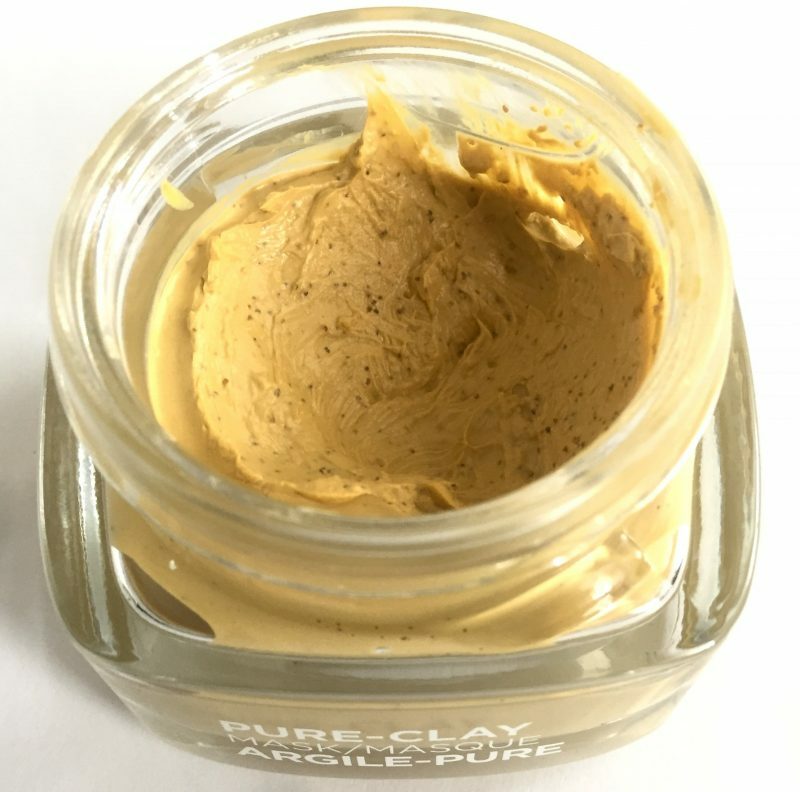 The Pure Clay Yuzu Lemon Mask contains 3 different clays: Kaolin Clay, Montmorillonite Clay, and Moroccan Lava Clay. Yuzu Lemon extract has been added to help clarify impurities and leave behind a refreshed complexion. Application is simple, simply apply an even layer on to freshly cleansed skin and let dry. The bright yellow mask dries down to a gold shade when it’s ready to be removed. I prefer a facial sponge that isn’t too soft to really help get the product off while adding some last minute exfoliation. 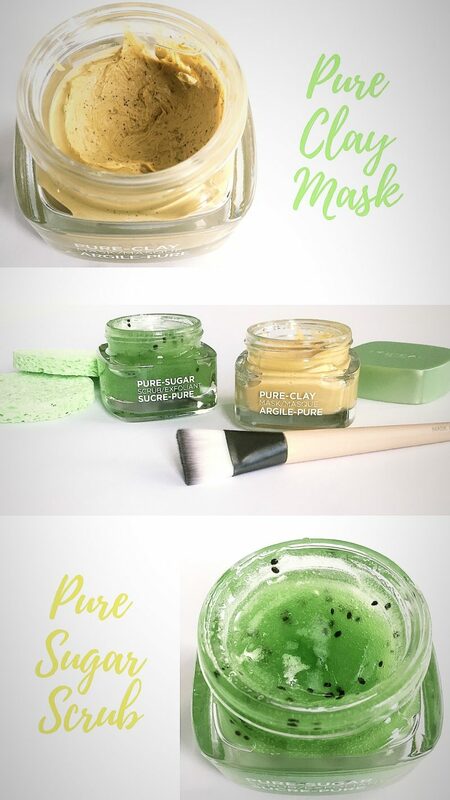 I genuinely love this mask as it’s a nice twist to the usual clay/charcoal masks I use. 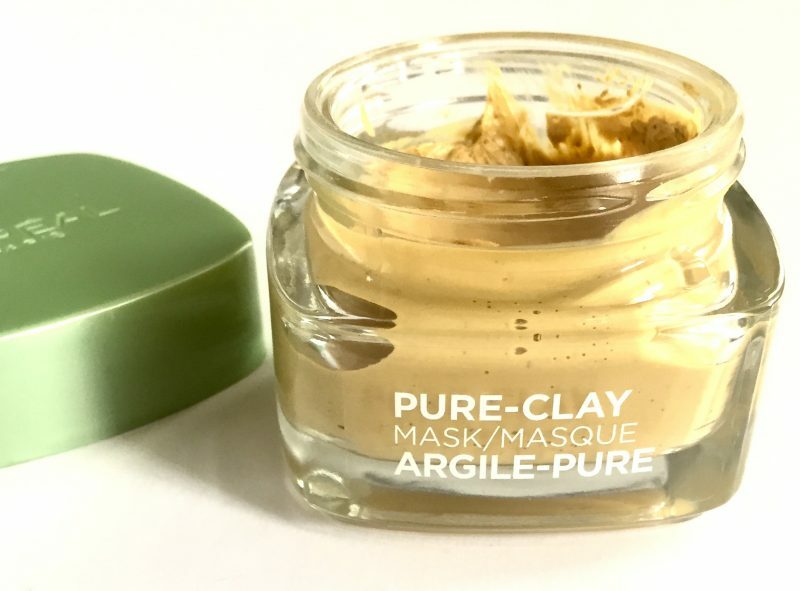 The fact that it’s nourishing as well is a major bonus as often clay masks leave my skin dry as, well, clay. The Pure Clay Yuzu Lemon Mask has helped open up closed comedones which is one of my most annoying skin concerns. 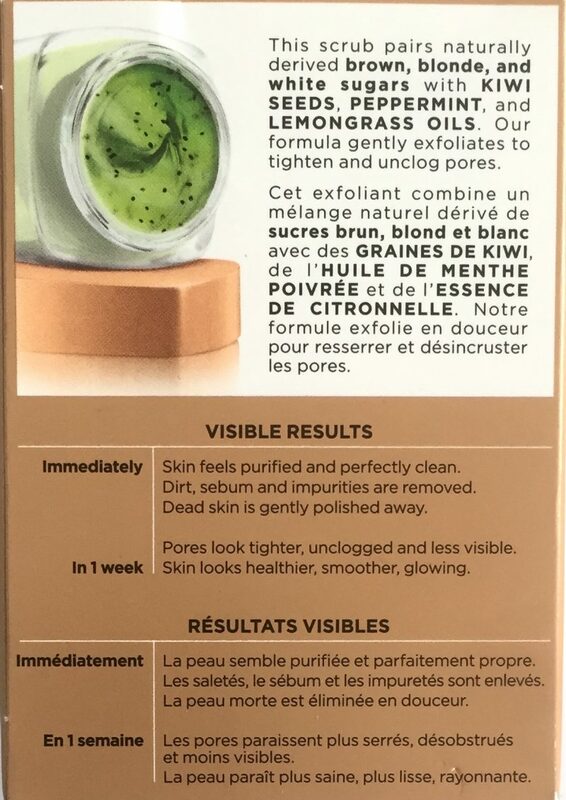 The L’Oreal Pure Clay Mask retails for $13.97 CDN each. 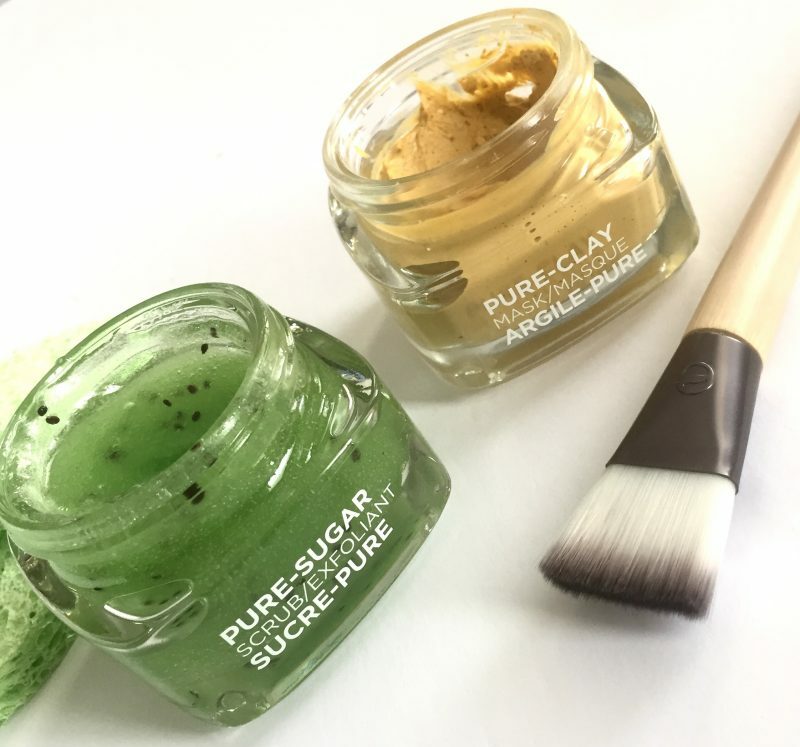 The L’Oreal Pure Sugar Scrub & Pure Clay Masks are available at Shoppers Drug Mart, Rexall, Walmart, London Drugs and many other retailers.